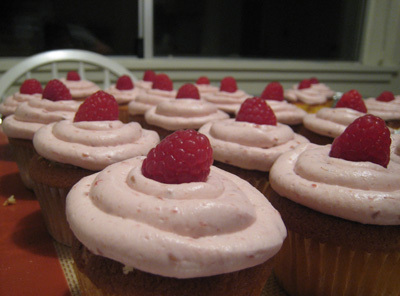 ...And you have freaky food allergies that prevent you from eating certain raw fruits, make dessert! 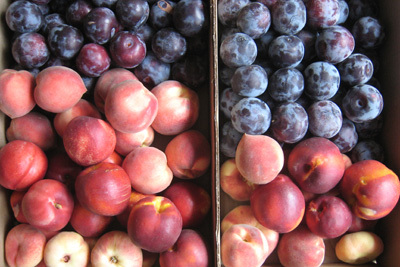 The excess of fruit and its ripeness instilled in me an urgency to do something with them, lest they all go to waste. My solution? 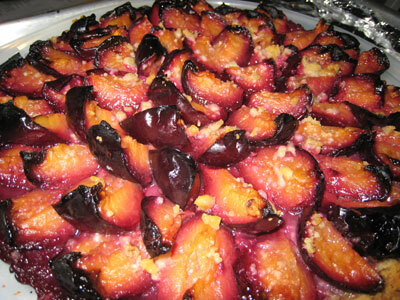 A plum tart. I messed up the recipe because I was engrossed in a movie while making it (note to self: pay attention to the recipe, not the TV), but it was a minor error which did not alter the tastiness factor at all.